Does anyone recognise the location of this photograph? The make of the fire engine would be a Dennis. Newhaven A F S. 1938. This page was added by Colin Holden on 23/03/2008. 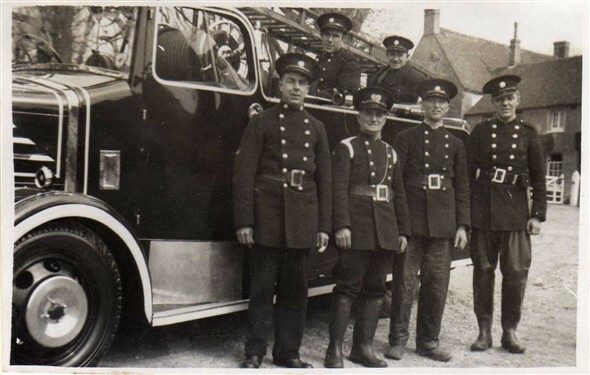 The picture I think was taken in Seaford because the firemen in the front row are Alfie Larter, Sub/o Parsons, the others I cannot at this moment put a name to their faces. The third from the left is Percy Jenner.